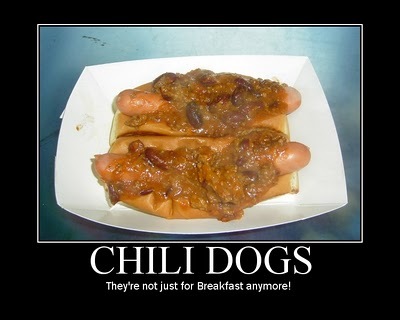 Visitors to the Hot Dog Truck couldn't get Chili Dogs all week. I ran out of chili on Monday. Normally that's not a problem since I get my food delivery on Tuesdays. For 4 1/2 years I have been ordering from the same wholesaler. They always did all their orders and packing by hand. Orders were written up on old school "triplicate form" sheets which I signed when I paid. They never missed a delivery in 4 1/2 years. Last week, they got into the '90's by computerizing their ordering system. Result: they lost my order! Remember: "to err is human, to really foul things up, you need a computer!"